Bisley Shelving Accessories are designed for use with Bisley Tambour Units and Cupboards. There is a wide selection of shelving fixtures available to cater to the needs of your home or office. 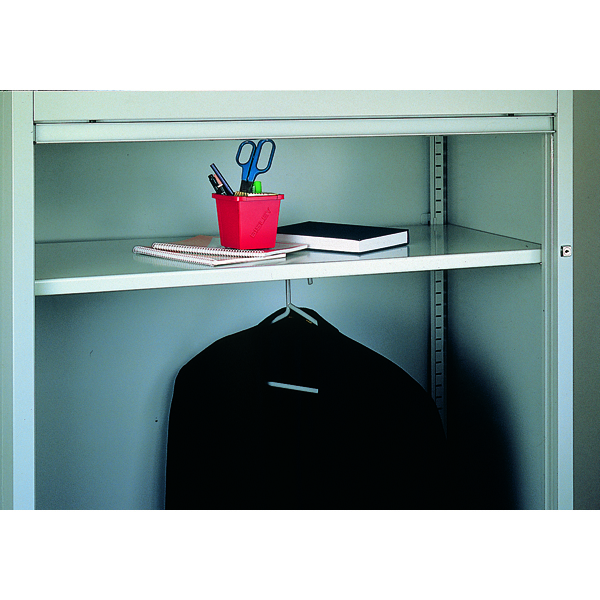 <br><br>This shelf is made of durable and long-wearing materials to offer you essential support and organisation. Fitted with a wardrobe rail underneath the shelf to store a row of garments in your cupboard, this product helps keep your office at optimum function by allowing you to store coats and jackets out of sight.